Allie Caldwell (left) and Jalana Lewis, FILM Fellows for the 2018-19 academic year, are working together on No Advocate, a feature-length documentary directed by Caldwell and produced by Lewis that will tell the story of self-represented litigants navigating the Canadian family court system. The pair will team up with Osgoode students during the pre-production phase of the film to complete research and develop the foundation of the story. Caldwell, who holds a BA in communication studies from Concordia University and an MFA in documentary media from Ryerson University, is a documentary filmmaker from Toronto. Her first 30-minute documentary, Unheralded, was about one of the last independent rural newspapers in Ontario. It was co-produced with the National Film Board of Canada and broadcast on TVO. She is an arts management professional who has worked with Hot Docs and the AGO. 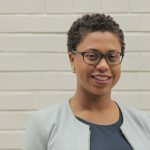 Lewis graduated from Dalhousie Law School in 2013 and currently works as a project manager on various human rights and social justice projects. With a passion for film and media production, she recently completed the 2017 Black Women Film! Leadership Program. 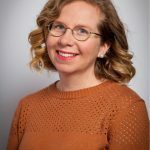 She has produced two plays, The Men Who Killed Me (Bus Stop Theatre, 2012) and Me Without You (Toronto Fringe, 2015), and was recently selected to participate in the 2018 Hot Docs Accelerator Emerging Filmmaker Lab.